Good workout! Please add sound! I love the program for the workouts. I did Tabata this morning. However, I wish that more workouts had sound or a timer so that I could focus on point in front of me while I am doing swings or snatches as a post to glancing down at my phone to see how much time I have left before my rest period. Could you please add something like that on your next update. 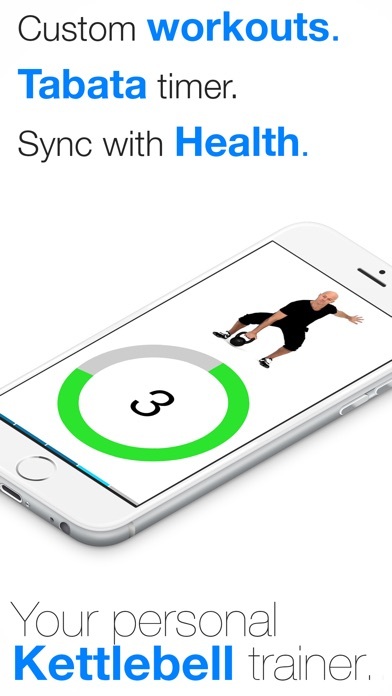 It would make this a fantastic five star workout app. As a young woman, sometimes going into the gym can be very intimidating, especially when there are some older and more fit men that generally take over the free-weight section. With this program, and the investment of some kettle bells at home, my confidence in my understanding of how to lift correctly and my confidence in my body are both gradually improving. Would highly recommend this app to anyone and everyone!! If you want to change your routine and get out of rut this is the app for you! 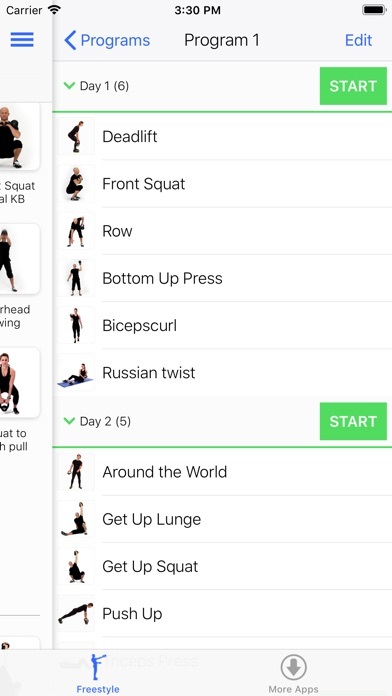 While there are two pre-built workouts to show you the way, the app is designed to really let you control your workout. You can mix and match the exercises (which are categorized as easy, intermediate and hard) to suit your needs and workout goals. 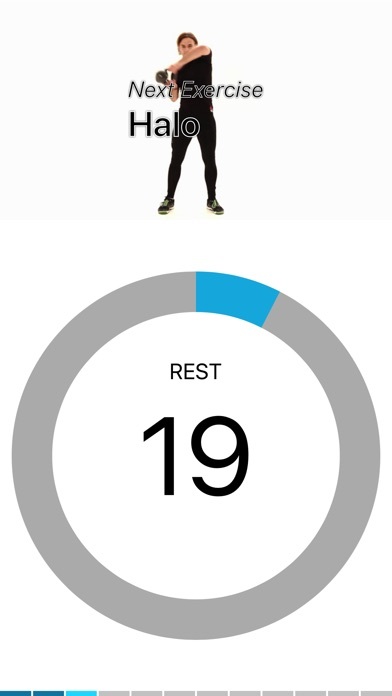 There is a built in Tabata Timer; my preferred way to workout for sure. The only downside is you can’t did in music. I adapt by doing this app on my iPad and then listening to music on my phone or through the Bluetooth. The few reviews less than 5 stars have some good points, but overall this is a great app. 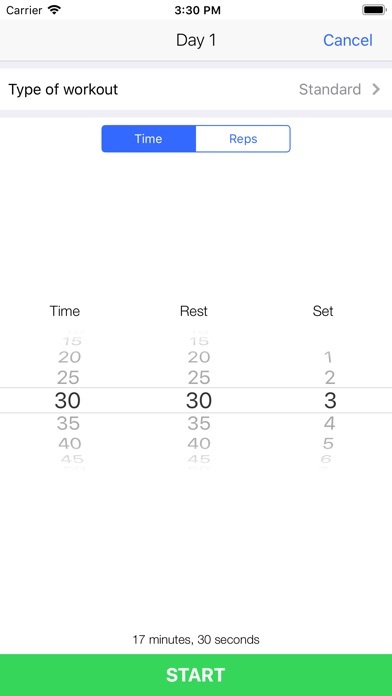 I love the auto pacing during the workout with sets and rests you can easily customize. Seems like it would be easy for them to fill with a bunch of random workouts, but I definitely wanted to customize mine to help deal with some problem areas, so that wasn’t a problem for me. I’m usually impressed by the trainer pro series apps. This one is lackluster. The demonstrators are not dynamic and seem to “ho hum” during the exercises. Perhaps this is aimed toward beginners. Also, this app could really use more exercises and better categorization. One exercise for abs and a triceps extension somehow works your legs while lying down? I don’t get it. This one falls a little short, but I’ll work with what it gives me. Really helps with home workouts, wish it were easier to enforce even number (or double) sets for single-limb workouts. I'm very new to Kettlebell and find this to be very helpful for a beginner. I really like this app. Awesome app and easy to use! 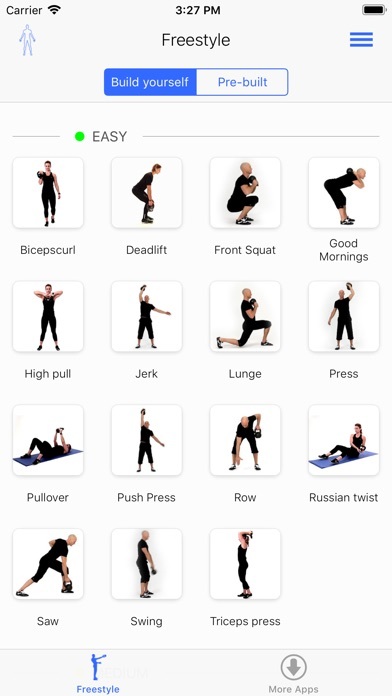 Really wanted an app with a ton of workouts. This one you have to build your own.